For now as placeholders I've used pictures from HONY. In fact I want this project to be different from HONY in that there is no curation of stories. 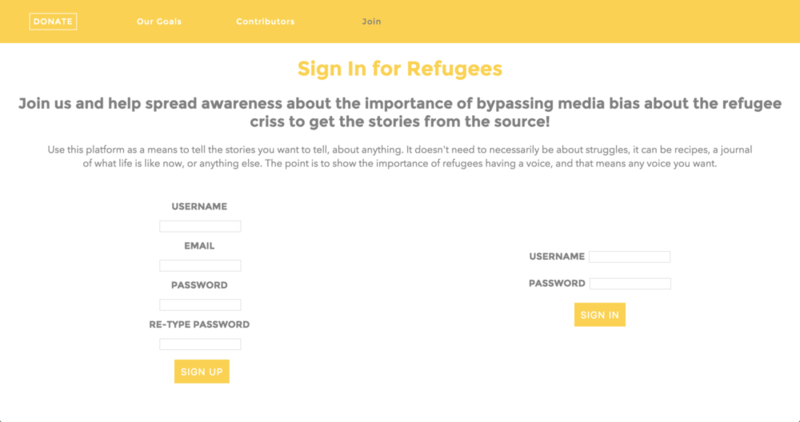 Stories don't even need to be about the struggles of being a refugee, the content is whatever the person wants it to be. It's their voice.